Can a PC and a tablet ever be considered the same? Can your PC turn into your very own tablet? Can you take your PC out for work? Well, these are the questions we’ve asked ourselves a billion times and in the past we usually always ended up stranded up in a dead corner, however, things have taken a whole new twist and turn now with the introduction of the Tap 20 by none other than the masters on innovations, Sony. What is the Sony Tap 20, you ask? Well, for starters it’s being considered the hybrid of both a PC and a tablet. The Tap 20 with its windows 8 integration isn’t the typical AlO you’ll find. Tap 20 has the look of an Ultrabook, which not only comes with a multi touch system but also has a built-in-battery for the user’s convenience. The Tap 20 is said to be a cross between an AlO and a huge tablet. 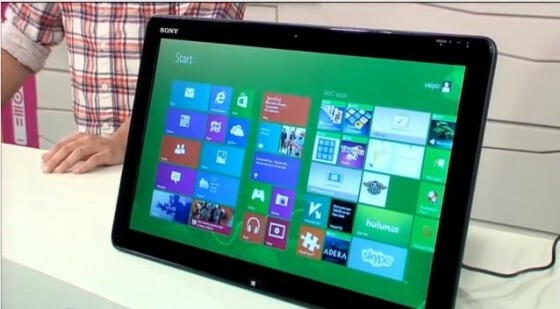 With the new windows 8 come out, there are new and improved devices being introduced which would help you experience the wonderful and innovative windows 8 with a whole new look. 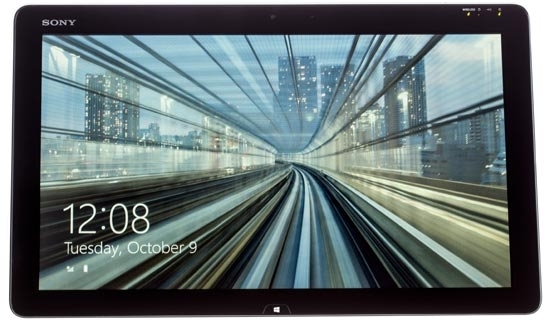 The Tap 20 is said to have a 20 inch screen with a 1600×900 pixel display which would help get the feel of managing the world’s biggest tablet, yet using your desktop at the same time. Tap 20 also includes a 1.7GHz Ivy Bridge ultra low voltage Core i5-3317U CPU and a Turbo Boost of 2.6GHz. The systems memory is 4GB and Intel’s HD 4000 are also used to make the display even more appealing. The storage tasks are 750GB mobile hard drive and no SSD cache. The sad thing is that there is no optical drive so you mostly have to watch the video and audio content via the network or attach an external optical drive, however, Sony still hasn’t disappointed us and is using the IPS panel which makes the video quality more clear and clean. Sony is using the Bravia Video rendering engine as well. The Tap 20 also comes with Bluetooth 4.0, gigabit ethernet and the 802.11n WiFi connection. It also offers 2 USB ports, a memory card slot and an audio input jack. 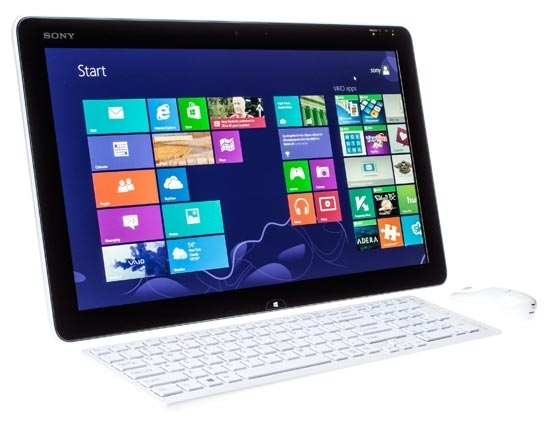 Sony also supplies a wireless keyboard and a mouse which gives you the home PC feeling. The Tap due to its flat features helps you do gaming, share arts and presentations on the go. Also, Sony’s got a 5000 mAh battery which makes it function without the charger for at least 4 hours depending on the brightness and user mode. So, what are you waiting for? Get your very own Tap right now and be blown away with the new, improved and innovative PC/tablet. The Tap is truly the next big thing and if it works out with the windows 8, it would be the combination of a killer success and all of Sony’s rivals would be in great trouble and think up of something fast which is up to the mark of the Tap. With the kind of promises the device holds it has a strong future ahead of it, however, the world of technology has a big bumpy ride and anything can happen, so let’s just sit back, relax and enjoy the show.